Nice to see you, to see you… NICE! 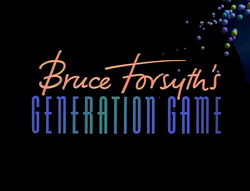 Most people grew up with this catchphrase and Bruce Forsyth’s endearing personality. Watching teams struggle with seemingly nonsense tasks was the key to a great night in. But, the days of pottery challenges and the conveyor belt are long gone. Or are they? There may not be cuddly toys involved, but there’s still a generation game taking place – the B2B lead generation game.